Syrian government forces say they gained more ground in Aleppo on Thursday. While thick cloud cover and rain deterred air strikes, civil defence workers reported heavy fighting in the ever-shrinking eastern enclave controlled by the opposition. Rebel groups have lost more than a third of the territory they held in Aleppo in recent days. The United Nations says Russia wants to discuss the idea of setting up four humanitarian corridors amid a mass exodus of civilians into the government-held west of the city. “The winter is there and there are 400,000 people including those who were already there in a rather uncomfortable situation, plus the 27,000-30,000 who have just moved. But more are likely to move,” UN Special Envoy for Syria Staffan De Mistura told reporters in Geneva. “We need a winter programme for them,” his Senior Adviser Jan Egeland added. The UN is scaling up its presence in western Aleppo to help with the aid effort but also, it is thought, to monitor the treatment of people fleeing rebel-held zones amid reports some are being detained. 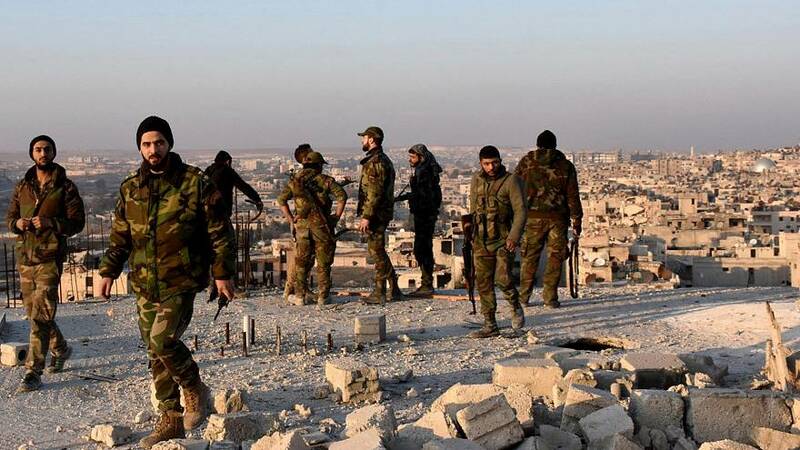 Aleppo has for years been divided between the government-held west and rebel-held eastern zone, which the army and allied forces besieged in the summer and where they have made a sweeping advance.